Adidas' newest boot silo, the Adidas Nitrocharge 1.0, has been given the full Enlightened colourway update and it definitely suits #TheEngine, with the all-black look, spiced up with the reflex silver. 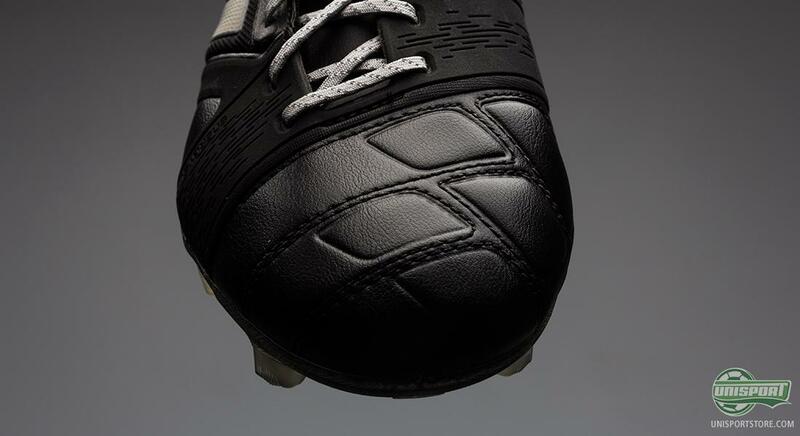 We take a closer look at the new boot right here. Adidas have really kickstarted their engines this summer. 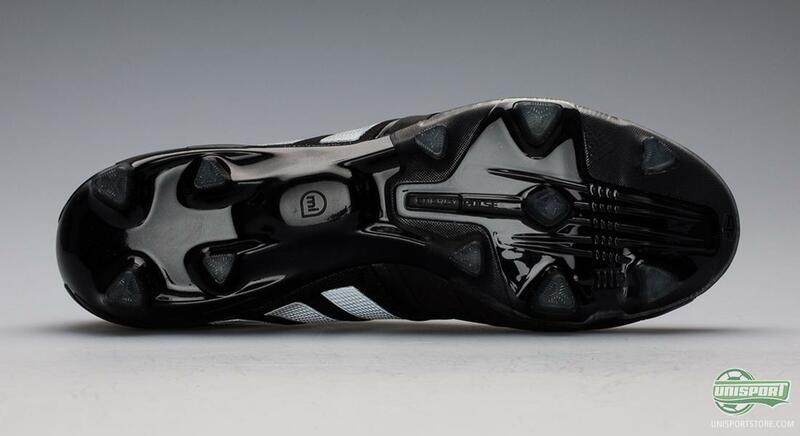 With the introduction of the new Adidas Nitrocharge silo, there is now a boot for the midfield enforcer and not just the jinksy striker and attack minded midfielders. 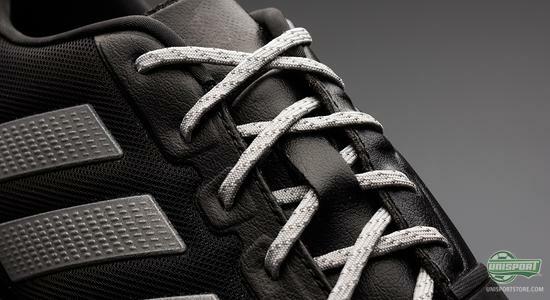 The Nitrocharge is made for the tough tackler and hard working midfielder, who never stops running. Adidas have developed the new boot for the player, which they like to call #TheEngine of the team. The hardworking midfielders are not usually the players, which we associate with wild and explosive colours. Therefore you could imagine that the new and colourway update for the Nitrocharge will turn out to be a real hit among the tireless and hard as nails midfielders. 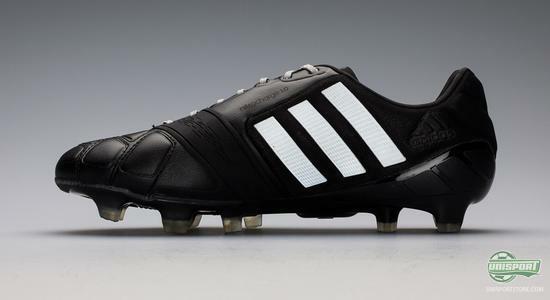 An entirely black boot, with white Adidas stripes, this very much a no nonsense boot. It is very simple  just like a hard, but fair tackle. The hardcase midfielder can however expect a little attention, because when day turns to evening and the floodlights come on, as the new Enlightened boots will light up. This means plenty of credit will go to #TheEngine, as he works tirelessly throughout the game. Because even though he will not be getting many hatricks, or even scoring a crazy overhead kick, the teams engine will still be catching the eye. The Engine' is a player, which Adidas have identified through lots of research and plenty of analysis of player information. The player they found is the one, who runs non-stop throughout the 90 minutes and does not shy away from a good solid tackle. 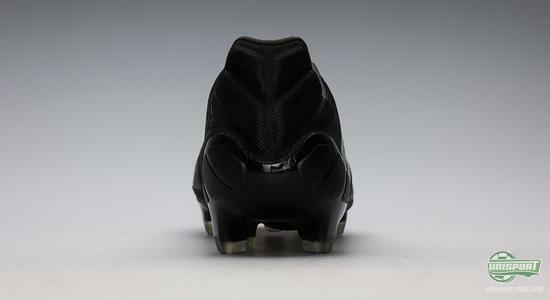 This is why Adidas have fitted extra protection around the heel, where you are a usually vulnerable to tackles from behind. 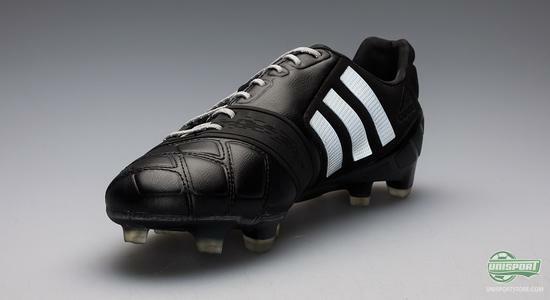 To be precise the Germans have added a pair of padded pillows at the heel of the boot and Adiads have any the same time raised the heel a little. 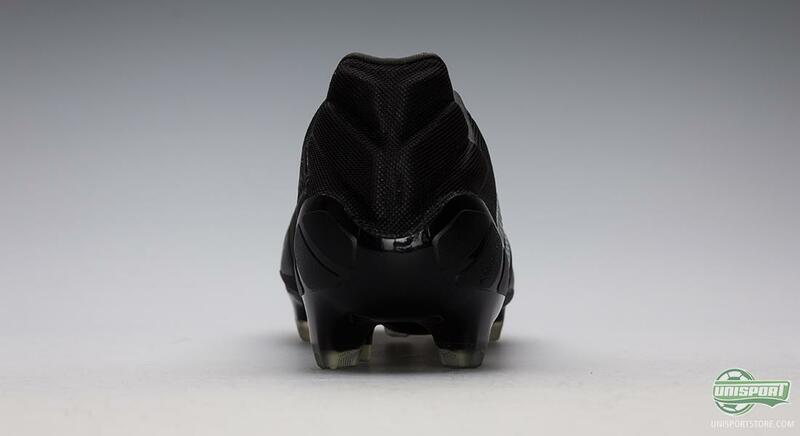 The most revolutionising part of the new Adidas Nitrocharge 1.0 is without a doubt Energysling, which on this colourway is, for the very first time, completely black. 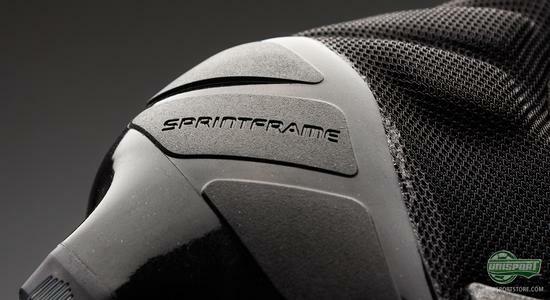 The new technology's job is to lock the foot in place and support it, when you change direction and accelerate. This way you react and move quicker, without wasting energy. 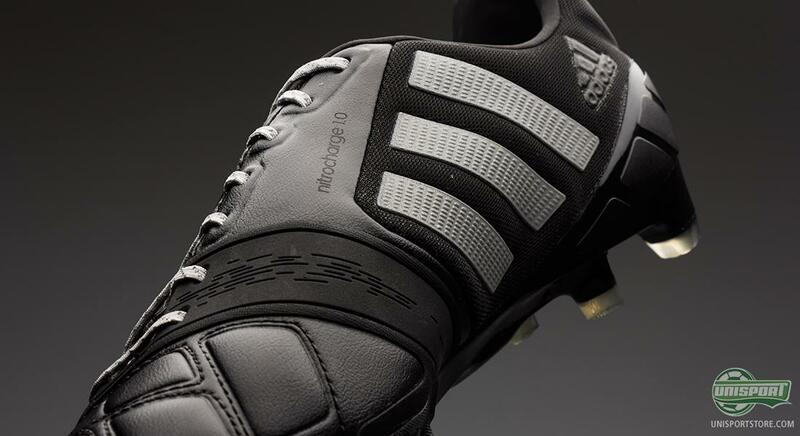 A part of the boot that cannot be missed is the upper material, and here Adidas have definitely been delivering their a-game when designed the Nitrocharge. The Germans have taken to the lab to come up with the incredible Hybrid Touch material. It's a synthetic material that combines the advantages from natural leather with the advantages of microfibre. This ensures good comfort and a soft natural touch on the ball; it doesn't expand as much as leather, and is does not take up as much water. In addition, Adidas have made the stitching in a way that creates a number of small pads that have a dampening effect and which also protects your foot in connection with tackles, which seems to be a key focus point for Adidas with the new Nitrocharge. And this could very well be something that the midfield profiles will welcome with open arms when harsh tackles is what's served for dinner. The outsole on the Nitrocharge is Adidas' well-known sprintframe. It is, although, not exactly as we know it, since the Germans have chosen to add their brand new Energypulse technology. The purpose is to ensure more energy to your acceleration and kick-off, so you can dictate the game all the way through as only a real team engine can do it, without wasting any valuable energy. An important prerequisite in order to perform on the pitch is naturally that you can actually stay standing up and keep your grip and a stable stance. Here Adidas have chosen to stick with their Traxion 2.0 stud configuration. It is based on triangular studs, that have been placed strategically n connection with their purposes. They each serve a specific purpose, whether it be acceleration, direction change or deceleration. 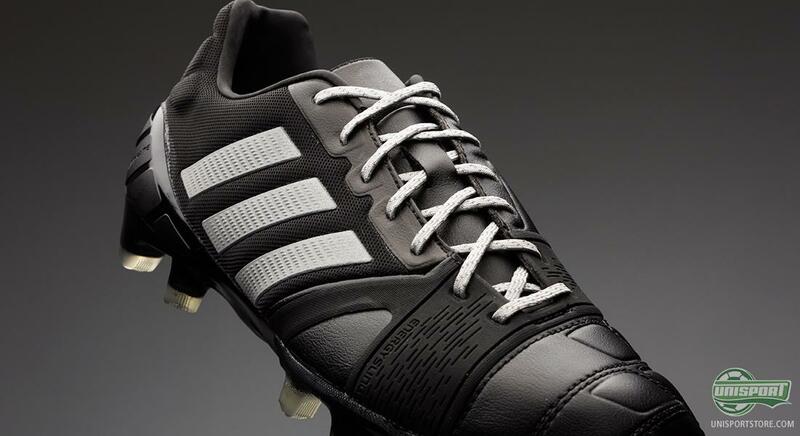 With Adidas' Nitrocharge 1.0 from the Enlightened collection, you get a boot, which is simple, with its dominant black colour, but also very modern and attention seeking with the silver reflex Adidas stripes. If you are the teams engine, but feel your running low on petrol, then this might be just what you need to kick things into gear again. Adidas Nitrocharge has been given a brand new colourway update with Adidas' Enlightened collection, it is simple in black and modern with the reflex stripes. 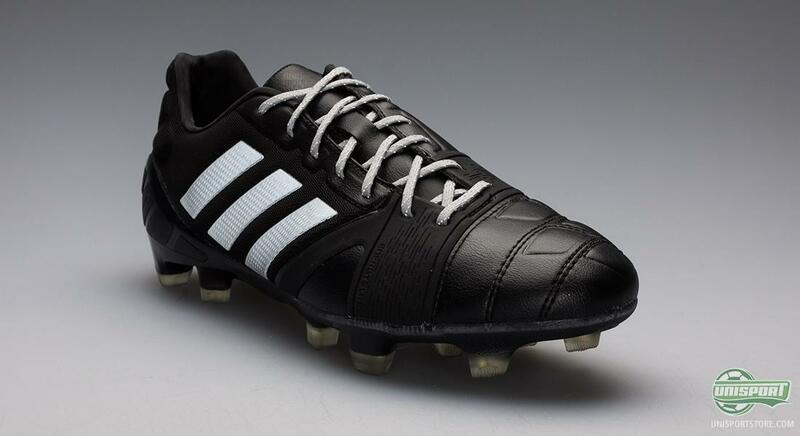 What do you think about the new colour update for the Nitrocharge? Are the boots your thing? We would love to hear your comments here, on Facebook and Twitter.